AEG is releasing a new spin on their very popular game Love Letter, this time with a Cthulhu theme. It’s called Lovecraft Letter. In Lovecraft Letter, the mechanics are a bit different from the original game. There’s no Princess that you’re all trying to win favor from. Instead, all of the other players are your rivals for ultimate power. They stand in the way of you understanding the “cosmic horror that lurks just beyond what we foolishly call ‘reality. '” You’re trying to eliminate them one by one, so that you can grab that power. The game is played over multiple rounds, and each round only one person will be left standing. You’ll need to use deduction and a bit of luck to be able to knock out your rivals. 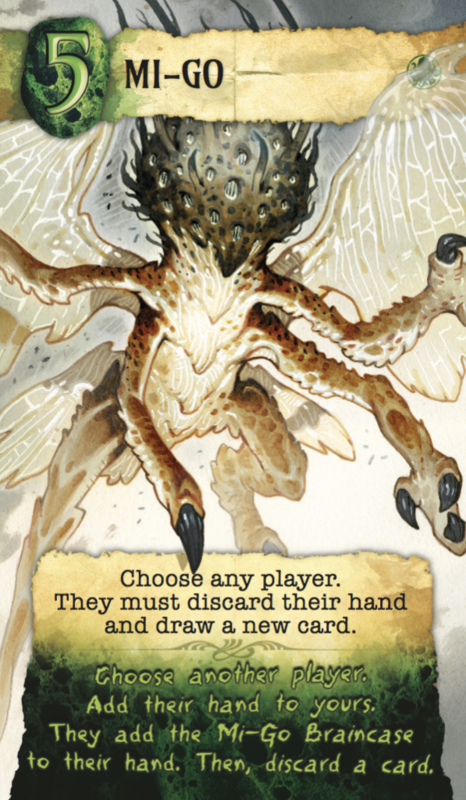 Unlike the other Love Letter games, there is a completely new mechanic that fits in with the Cthulhu theme: insanity. Some of the cards will have different effects depending on if you are sane or insane! If you have an insanity card in your discard pile, congratulations, you are officially insane. From now on, you can choose to apply either the sane or the insane effect when you play a card. But there is a drawback. Once you’re insane, you must make a Sanity Check at the start of your turns. The way you check your sanity, is by revealing as many cards from the deck as you have insane cards in your discard pile. If you reveal an insanity card, you are knocked out of the round. If you pass, discard all of those cards without using the effects stated on the card. But if you can’t do a sanity check, like if the deck is empty, the round ends immediately. 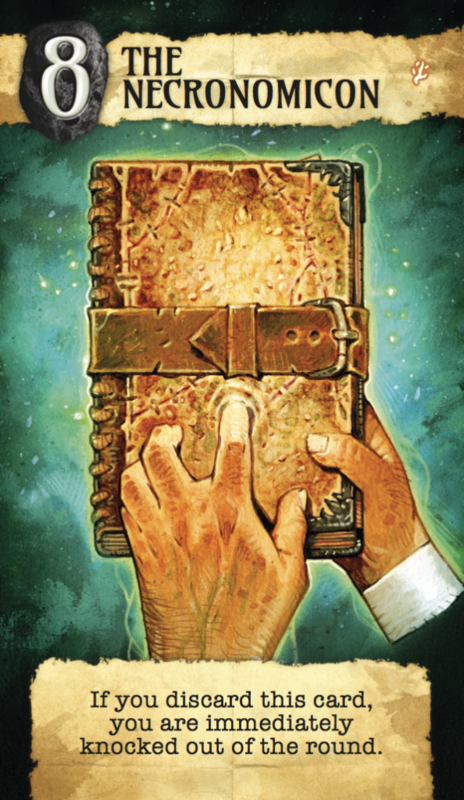 For a complete breakdown of the rules, check out the PDF of the rulebook. 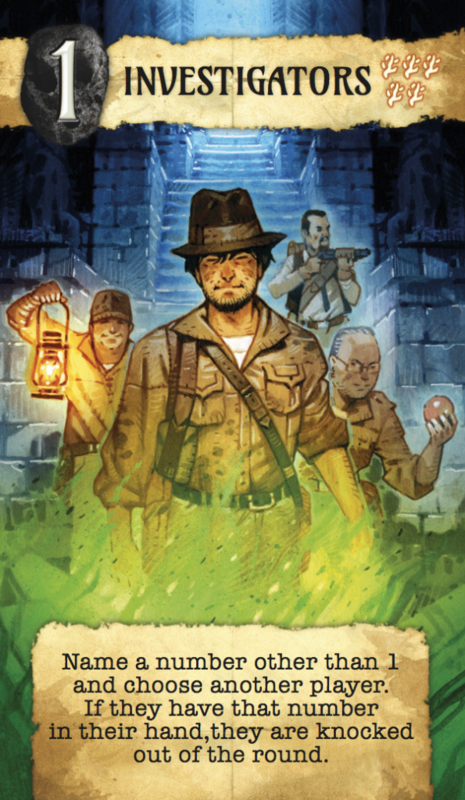 The game includes 25 cards beautifully illustrated by Vincent Dutrait and Kouji Ogata, 6 reference cards, 40 sleeves, 18 sanity tokens and the rulebook. 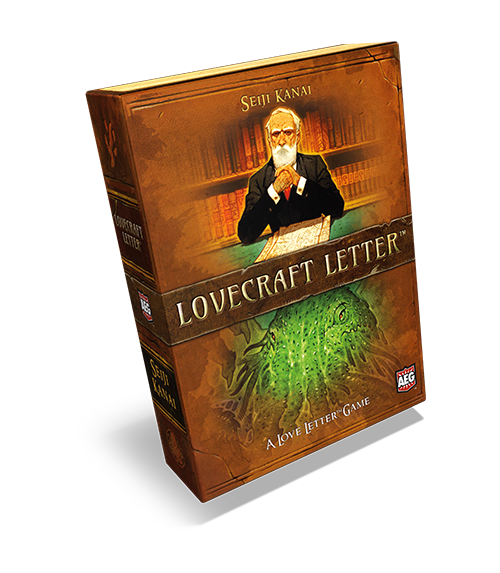 Lovecraft Letter is for 2-6 players, takes about 10 minutes to play, and will cost $29.99. AEG says the game should be released in July 2017.